I'm reading Moonglass via S&S Pulse It. If you haven't signed up for this program, it's pretty awesome. You can read some of their newest books online, for free. I don't read via my computer very often because it hurts my eyes, but it's a great option to have! That's all in my mailbox this week. What did you get in yours?? Leave a comment with your link so I can check it out! I got the Mephisto Covenant, too, thanks to you! I'm with you, though, on reading books on the computer. I hate it, and I wish Simon and Schuster would make the switch to eGalleys for ereaders. Though I'm sure they have their reasons. So ridiculously excited to start the mephisto covenant, might have to bump it up my list! You got great books this week! Ooh jealous! The Mephisto Covenant looks awesome, and I love the cover of Everything We Ever Wanted. Happy reading :). 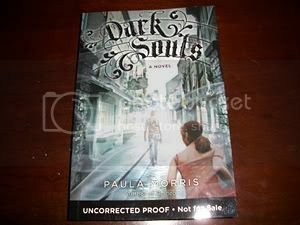 I LOVE Paula Morris. She wrote Ruined, which I think was one of the best ghost story/mysteries I've ever read. I will be adding this one to my pile. I had no idea she had a new book out. Thanks for sharing! 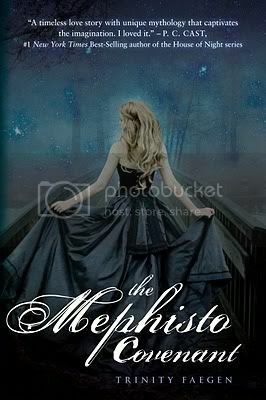 I didn;t know The Mephisto Covenant was on NetGalley!! Must go NOW! 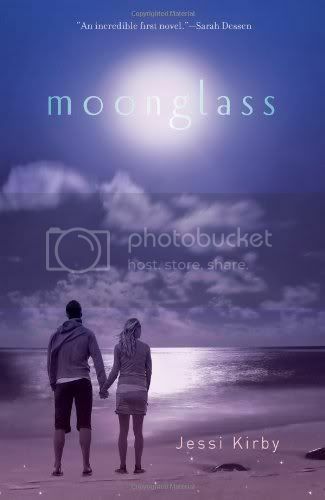 I love Moonglass!!! Hope you're enjoying it and great books as always :) I didn't see the Mepthisto Covenant but I think I'll look into that one now! I also got The Mephisto Covenant and The Beginning of After from netgalley. Both covers are gorgeous! I read Everything We Ever Wanted a few weeks ago, but did not like it very much. I hope you like it more then I did. I hope you enjoy your new books! 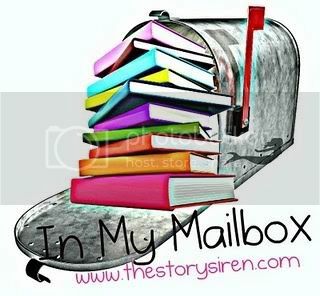 OMG!I want all the books on your mail box!!!!! I spy my little eye... what is this.. Dark Souls... have to look for that one next. Its my first time seeing the cover of Everything We Ever Wanted. It looks good. Happy reading. Hopping through. I haven't heard of Dark Souls. What a great cover. I want to read Moonglass. You got some great books. Reading on a computer hurts my eyes too. Gives me migraines. Hope you enjoy all the books. These are all new titles for me. I love the covers. Happy reading! Got some of the exact same titles you did this week. I always love looking at People's IMM's. Makes me curious. I can't wait to read Moonglass. I've heard a lot of great things about it; I look forward to reading your review. Happy reading! ooh, Dark souls looks really good, so does Drink, Slay, Love. I'm checking out S&S Pulse it right now! Nice haul! 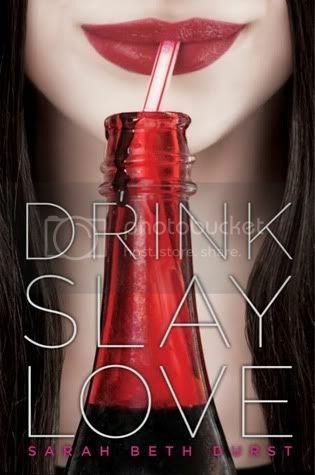 I really want to read Eat Slay Love, it looks so good. I hope you like it. Looking forward to seeing what you think about Dark Souls! 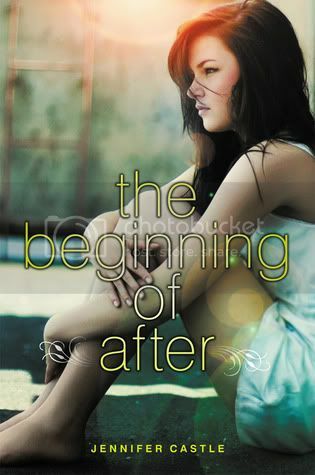 And I also got The Beginning of After from Netgalley but of course I forgot to add it to the IMM...oh well! Great books! Dark Souls looks really cool and I love the cover. 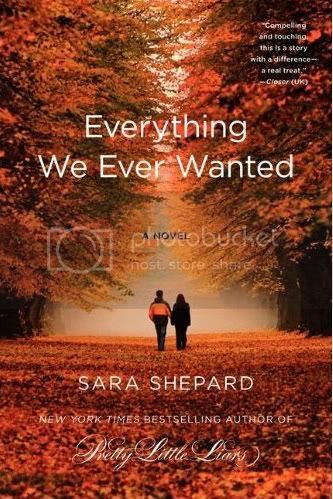 Speaking of loving covers, the one for Everything We Ever Wanted is stunning! Lots of people got THE BEGINNING OF AFTER this week. I recently requested it on NG...hope I get it. It looks so good! Also, I didn't know Sara Shepard wrote another book that wasn't part of the PLL or Lying Game series. Very cool! I loved Moonglass! I hope you do too. Drink, Slay, Love sounds really great also. Those all look absolutely brilliant. Enjoy them all. Great books all (the ones I've read) and the ones I haven't look fantastic! I'm really not sure about The Mephisto Covenant. When I see the word god in a description I immediately think Christian fiction. I'll need to think about it. Ahhh Drink Slay Love looks so good. Happy reading! Everything else looks great, too---I've been trying to resist Mephisto Covenant on netgalley, because I am overloaded on ebooks right now! Might have to give in, though! Oh, some excellent books for you to enjoy this week! DRINK. SLAY. LOVE. looks fab--definitely one I'm waiting for. Enjoy! Looks like a great reading week ahead, enjoy! ooo some great books! I really want to read some Sara Sheperd as I havent got round to it yet so I cant wait to hear what you think of that one especially! Oo I hadn't heard of Dark Souls, but I LOOOVE anything set in England. This just went on my TBR list! Thanks for putting it on my radar -- can't wait to see what you think!